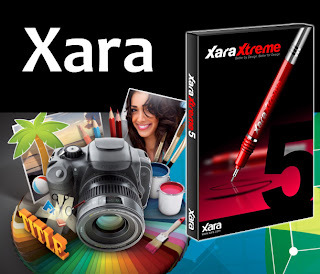 Yes you read it right now download Xara Xtreme 5 free of cost with official serial key with no questions asked. You don’t event need to give your email address, just download the software from the official Xara promotion page, install it and enjoy with without paying a single penny. This offer is valid till 29th April 2013 so you have lots of time to think whether or not download it and use it. But in my opinion this software is so great and unique that you should definitely try it. 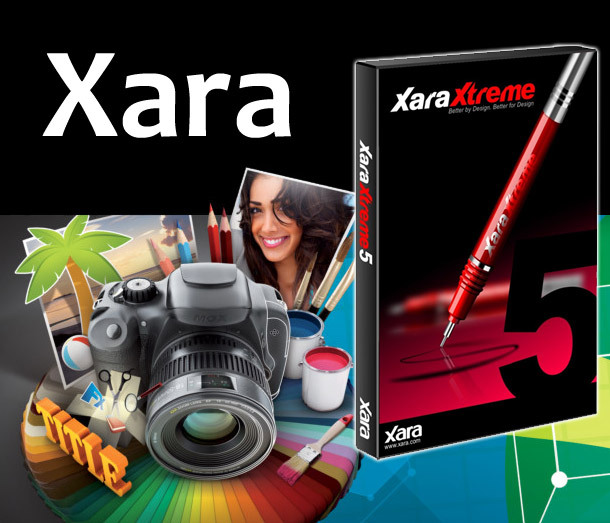 Xara Xtreme 5 is a perfect drawing, photo and design tool designed for both professionals and beginners so that any one can use it without any problem. many people who don’t want to use Photoshop or Illustrator they can use this product for really cool illustrations. I heard many people saying that they don’t want to use Photoshop and software’s like these because they are made for Professionals only and students have very difficulty using it so this software is basically a gift for them. Whether you want to edit your photos, re-size or customize pictures in bulk this will help you in every aspect. You may be thinking that it a very basic type of tool and you will not be able to do some really cool stuff like creating a layout of brochure but your thinking is not correct. You will surly be amazed to see the options and how easy it is to apply all these options to create stunning effects. Creating some cool web graphics was not an easy thing to do before the invention of Xara Xtreme 5 free serial keys. Now you can get this product without paying a single penny and that’s because they want people to enjoy this product while doing their work. HOW TO GET ONE FOR FREE. Its very simple promotion and you don’t need to film out forms or liking the Facebook fan page. Just visit the Xara Promotion page here and download the software from the link at the top of the page. After you download the software just install it and at the end create your free account with your working email address. Soon they will send an email straight into your inbox with the unique Official serial key so that you can activate your software. Enjoy! Greater control over clipping objects to page. A new option in the Website tab of the Website Properties dialog allows you to choose whether or not to clip objects to web page edges. If you do not clip, then any objects overlapping your page on to the pasteboard will be displayed in full, rather than cropped to the page border. In addition, any animated transitions you apply will now start from the browser window edge rather than the page border. Improved context sensitive menus. There are some new context sensitive menus which give direct access to useful actions. Right-click on objects, page or pasteboard for instant access to many useful operations relevant to the object. Clearer InfoBar text rendering. Brings greater screen display quality and clarity to all Designer toolbars, if ClearType text is enabled in your Window's control panel. Add your website to Xara/MAGIX User Galleries. When you publish your website, you can now choose to include a thumbnail of your site in existing user website galleries hosted by Xara/MAGIX. New Photo Optimize Dialog Control. The Optimize Photo dialog now includes the option to maintain the photo’s current resolution. Text repelling within layers. You can now prevent objects on the current layer from repelling text on other layers using the new "Text repelling within layer" option in the Layer Properties dialog. This option also stops text on the current layer being repelled by objects on higher layers. This is useful for (and is set by default on) popup layers in web documents. Easily add header code to a page or website. Designer Pro now allows you to enter HTML code into the head of your web pages, as well as the body, giving you greater versatility to customize your website. You can easily add your own code (or code from a widget provider) into individual pages or all pages in your website. Also code entry for either the head or body is easier with a new larger pop-up code editing dialog. New languages added to the spell checker: Czech, Polish, Slovak, Turkish and Hungarian. Further improvements to the PDF import filter. New cameras supported for RAW import.